Dogs competing in sports such as agility, field trials, obedience, and herding need proper conditioning to get and stay in shape. Appropriate training for balance, strength, coordination, flexibility and endurance can help your canine athlete avoid injury and perform better. Properly conditioned and strengthened dogs are also able to recover faster if they do sustain an injury. 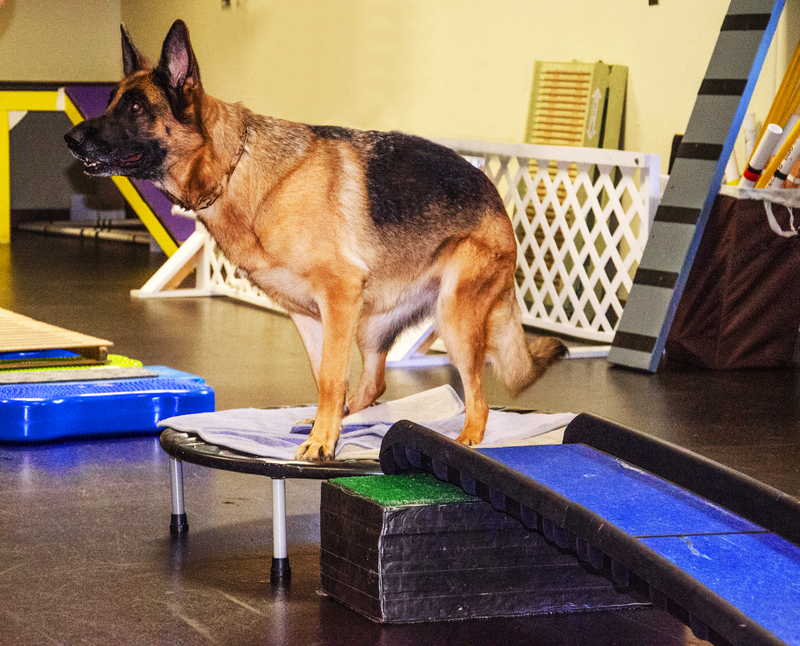 We offer a Sports & Agility Conditioning program that begins with an individualized assessment of your dog’s strengths and weakness and development of a conditioning program tailored to your sport. You will learn principles of an exercise program and how to perform many exercises and stretches yourself so you can continue your dog’s regimen at home. We also welcome breed dogs who need to increase muscle tone and/or improve their gait and reach for better show ring performance. This program is therapist-supervised and offers personalized instruction, exercise planning, and/or land work. ***While this program is intended for recreation, we do require an exam with our on staff veterinarian.